With a report in the LA Times showing that traffic to Google+ has dropped in half over the 21 weeks since its launch, Google is calling out the big guns, heavy artillery, the A-Team in an attempt to reverse its fortunes. 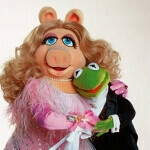 Yes, that is right, Google will feature the Muppets in its television advertisements for Google+. There are those who would point to the latest statistics to show that Google+ doesn't need any help. According to Hitwise, the social site had its third largest week of traffic in the 7 day period ending November 12th. That figure showed a 25% increase in traffic to the site from October. The best week that the site has had since launch was 15 million visitors in a week, but as of the middle of last month the site was drawing an average of 6.8 million weekly visitors. Google's own stats show a better picture. "Google+" is the second most searched for term in 2011, but despite what would seemingly be a positive statistic, the site only had two peaks in the number of visitors. One was in July when the service was invitation-only, and the second was in September when it opened to the public. So can the whimsical nature of the Muppets as they sing the Queen/David Bowie song "Under Pressure" send new visitors to Google+? We will have to wait and see what the numbers tell us after the ad has been in rotation for a decent period of time. Google has used the Muppets before, namely on what would have been the 75th birthday of Muppets creator Jim Henson as the characters formed an interactive Google logo. But this is a more serious task for Google as the guys at Mountain View try to make a dent in the social network arena. I had google plus installed, set it up, made my circles and i uninstalled a month later. When i got a gmail about a family member added me to there google+ i re-installed google+ to find it completely blank. Only my profile picture satyed the same but everything about my account and circles were at 0. Its a waste, they cant compete with facbook if they sont have the app and web sync on tap. it's sad but Google stepped in a bit late in the game. i like the entire setup but i only know 3 ppl that have google+ n i find myself using facebook more, even though it kinda sux. i wish they could get more ppl tied in n mayb even compatible with facebook to make the transition easier somehow. i feel the same way, google+ seems so much more user friendly and is easier to use all around not to mention MUCH more attractive (but that's purely personal preference) although i use facebook so much more... i don't know what it is.. i guess part of the reason why i'm sort of turned off is i have so many people ive never met adding me on facebook and i don't have to accept their requests they just follow me and i see most stuff they post.. but that can be remedy'd i'm sure.. i really hope google+ doesn't fail because so many people are stuck on facebook..
i'd really like an import contacts from facebook option. The problem is that there is no problem with Facebook. The reason why Facebook did so well is because everyone was getting sick of MySpace. Any 13-year old that could learn a few HTML codes could completely paralyze the strongest computer with bad coding of their MySpace page. Facebook offered an extremely clean way to link of with people that weren't in high school or creepy old folks. Even as they slowly added more people, the site wasn't buggy or overwhelming. Facebook still works well. You know you have an easy website when old people can use it without a problem. Google+ is simple, but people aren't exactly looking for an easy social network that beats Facebook in usability. Until Facebook f**ks up or people change what they want in a social network, Facebook will be king. Dude!Like Really? I haveGoogle+ as a widget on my galaxy tab 10.1 and its working just fine, think what you type and don't type all that you think. Oh i found it, extreamly small. Tried to make it bigger but couldn't. cool, there are so many things in android that sometimes you dont know all of what your phone is capable of. Google needs something like HTC's Friend Stream. Now that is so awesome, but i dont like HTC devices because they appear to be weak in the gaming department. But i love their Sense rom. I like Google plus a lot. Almost everyone I know still has Facebook, but a few have left for plus because they got sick of Facebook's bulls**t changes and privacy issues. Google Plus's user base has grown more dramatically since its release than Facebook OR Twitter. There is story after story of Google Plus being dead or dying when the truth is the opposite. And since Facebook has been caught in the past planting smear stories on Google, I wouldn't doubt they're behind some of these stories too. I've never understood the whole privacy issues thing. i hear ppl complain about Facebook n their info getting out. i call those idiots...they post all their intimate details on Facebook n leave them open to the public instead of using the simple controls provided to limit who views what. also ppl click every link anybody posts even the stupid repetitive "girl kills herself after father posted this video on Facebook" link. ppl fall for that so much it's ridiculous. i for one share my info on their n the only ppl that have access to it are my friends. i may only have 79 of them but atleast i know every single one in person n i trust them with my info. if ppl wised up this privacy problem wouldn't exist. now the changes part is understandable sometimes they can b completely idiotic but others can b good like the whole timeline thing. i actually like that. You know what i think? Right now google+ is pretty much deserted compared to facebook. But give it a period of time (6 months, a year) and almost everyone will have a google+ account, even if they do not use it. When that happens, and i upload something to google+ thanks to the built in functionality of the g+ application and share it with my friends, it will start a little activity on the site, which in turn will probably cause another friend to upload something, and so on and so forth. Social networks have to build up a user base before they are used in everyday life, so i believe that in that sense, google+ is doing alright. G+ is awesome. The people that are finding it boring are trying to use it like facebook. And its not facebook. Its somewhere in the middle between facebook n twitter n foursquare. The good parts about G+ include you can "circle" ANYONE. Dont just circle your friends. circle interesting people. circle people you admire. its better than twitter and facebook. I circled one Dev who then because of his friends list, i found another.. and another.. and so on. Soon I had a circle of android geeks that were feeding me all sorts of cool info. The linking system is soo much better than facebook.. so on and so forth. If you actually USE G+ for its intended purposes you will like it. If you try to pretend its just facebook you will find it boring. All I can say is that I am enjoying Google+ and the muppets commercial cracked me up!